This past Monday, Brazil went through another training session at the Granja Comary facilities, as the host nation continues preparing their FIFA World Cup debut scheduled for next Thursday (June 12), against Croatia. As seen in previous team practices, the good mood and great relationship between players is something quite notorious, which is the kind of team spirit and union that Luiz Felipe Scolari always tries to establish within the teams he coaches. 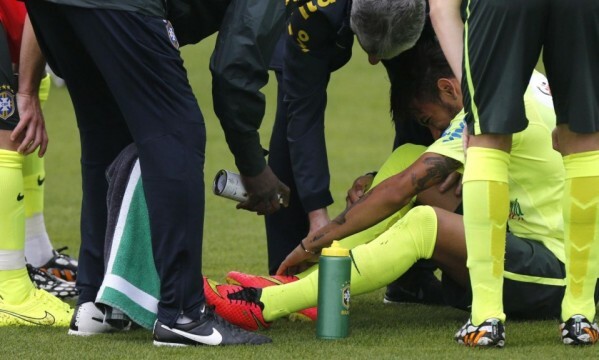 A few minutes after the practice had started, the entire Brazilian nation had their breath suspended when they saw Neymar going down on the pitch and holding on to his right ankle. The 22-year old sprained his ankle all by himself and for a few minutes the worst fears rose up. The FC Barcelona forward was visibly in pain as we he was holding the ankle, but fortunately it all seemed to be sorted out shortly after, since he managed to get up on his own and resume training. 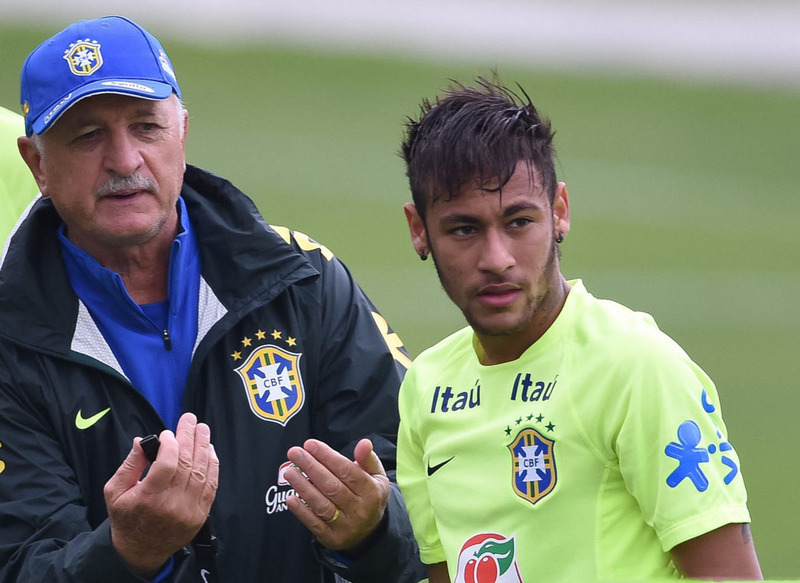 As the training progressed with Neymar already reinstated, Scolari was seen shouting to his players: “Watch out for injuries for God’s sake!”. 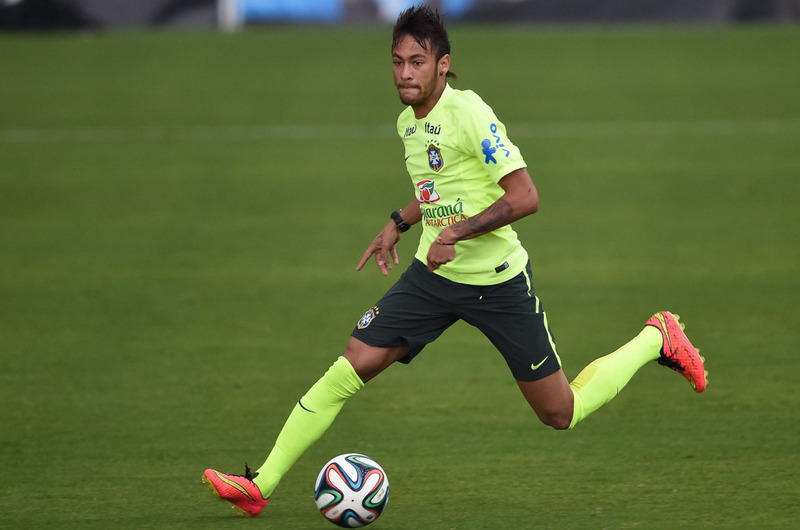 The Brazil vs Croatia debut game goes down this Thursday evening, in São Paulo. Brazil‘s starting line-up against Croatia should be formed by the eleven players that started the practice game in this Monday’s training session. Júlio César; Daniel Alves, Thiago Silva, David Luiz, Marcelo; Luiz Gustavo, Paulinho, Oscar; Hulk, Fred and Neymar.